Depending on where you live, there could be a sound reverberating in the neighborhood that hasn't been heard in quite some time. No, it's not cicadas, although they may be there, too. That sound you might be hearing is coming from homes being built as the housing industry finally gets back on its feet. So what could the rebound in residential construction possibly have to do with any exterior cladding project you might have planned? Well, what's one item just about every new home has in common regardless of size or style? They almost all have some type of siding on their exteriors. That means that as the housing industry gears up, there's a pretty good chance the cost and material availability could be affected. Remember just a year or two ago when contractors competed for your work and home improvement materials always seemed to be on sale? Hopefully you do; it could be a while before anyone sees those days again. Material availability - The Great Recession caused many siding manufacturers to curtail production and reduce staff due to fewer new houses being constructed. As the home building industry begins to rebound, manufacturers may be reluctant to add personnel and increase inventory until they're sure the recovery will last. That could mean that some styles of fiber cement, vinyl, and even wood siding could be in short supply for a while. Siding cost - When demand increases and supply is limited, almost any material becomes more valuable, and siding is no exception. 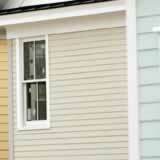 Don't be surprised if the costs of fiber cement and vinyl siding increase in the next few months. In areas where brick veneer and stucco are popular, their prices could go up as well. Contractor prices - Homebuilders are already reporting a shortage of all types of contractors and that means you could be competing for the services of qualified siding installers. While this may be great news for contractors who have been struggling the past few years, it might not be too good for the scheduling and cost of your siding project. There is debate as to whether this housing recovery will be sustained or perhaps might be just a temporary upsurge. However, if the cost and availability of your favorite exterior cladding and finding a qualified siding contractor for installation are important to you, scheduling your project for the near future might be a good idea.